A hybrid style of American Wheat, Pepper Beer, and Fruit Beer, Huck’s Habanero Apricot Wheat is malty and sweet on the front, with the heat from fresh habanero peppers most apparent on the finish. The sweetness from the apricots tames the spice, making this unique combination of sweet and spicy surprisingly approachable. Sweeter and with more fruit character than Jumping Frog, King Arthur’s Imperial IPA is full-bodied and deceptively smooth. 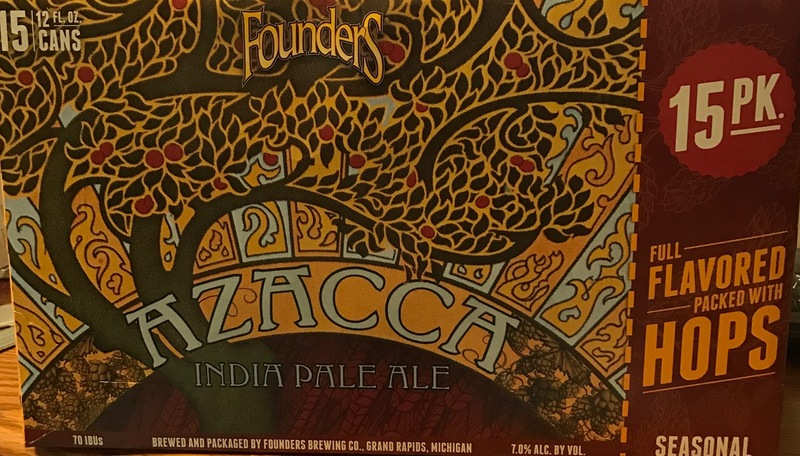 Specialty malts add rich caramel and honey flavors, making this beer ideal for sipping and savoring. 1967 Taylor Fladgate - great gift this year! 1967 was a great year. St. Louis Blues were formed, KSHE-95 went on the air, the Poplar Street Bridge was completed, Worlds First Heart Transplant, The first ATM, Monterey International Pop Music Festival, Beatles release Sgt Pepper's Lonely Hearts Club Band in the US, The first Super Bowl played between Green Bay Packers and the Kansas City Chiefs and I happened to be born also. Do you know someone turning 50 this year? 50th Anniversary? Looks like yesterday really never got as bad as they said. 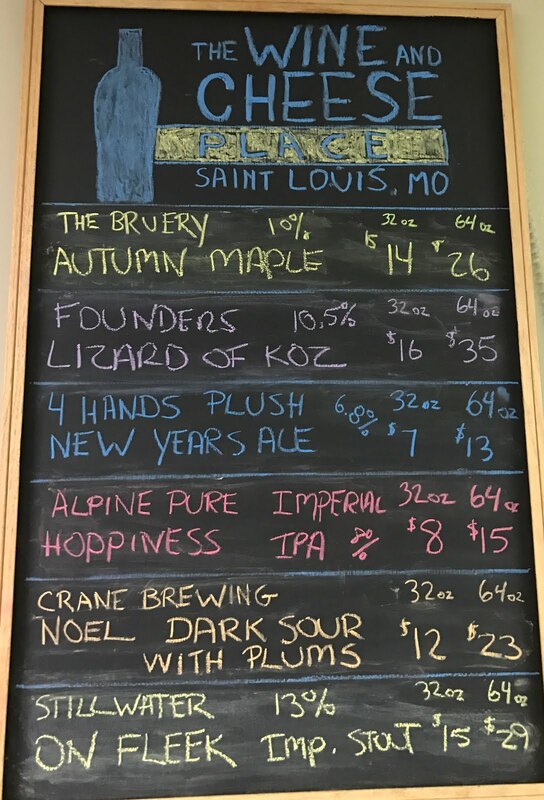 But enjoyed the day off, I took a growler of beer home and enjoyed the day with my family. 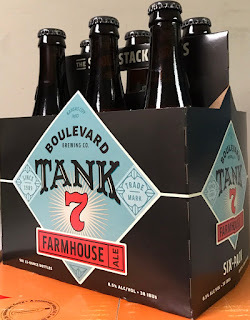 Boulevard Tank 7 now in 6 packs! Boulevard Tank 7 is now in 6 packs!! Roederer L'Ermitage is on sale! Very fruity and fresh in aroma, this elegant wine has light, crisp apple and lemon flavors, fresh-baked bread accents and lively acidity. A layered texture seems to blend in accents of almond and vanilla, increasing complexity with each sip. It's one of California's blue-chip bubblies. 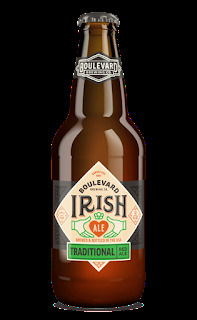 Irish Ale, Boulevard’s early spring seasonal beer, is our Midwestern tribute to the legendary red ales of old Ireland. 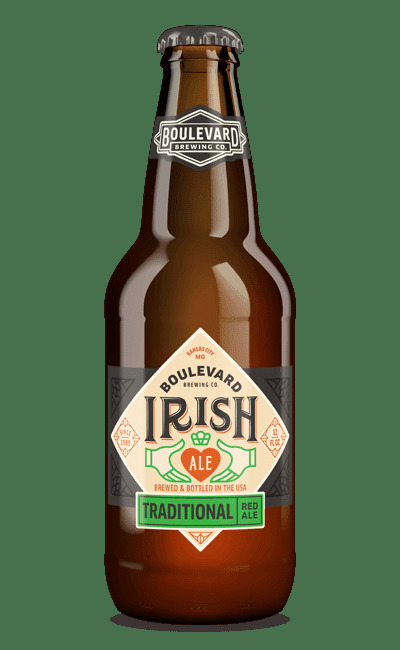 Our recipe combines six kinds of pale and roasted barley malts to provide a rich, toasty flavor and tawny reddish hue. We start with a smooth, dark, rich and roasty porter, then add Colombian Cajibio Estate coffee supplied by our local friends at Maps Coffee Roasters to create an eye-opening marriage of our two favorite brewed beverages. We're happy to introduce the newest member of the Delta Series, MR. MOOT! Mr. Moot is our world class award winning Mamoot’s great grandad. The elder Moot has notes of dark fruit, toffee, and chocolate with a quite pleasant medium bodied finish. 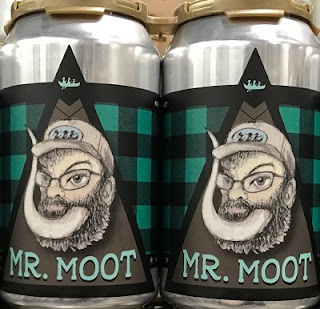 Hang out with Mr Moot around a fire this winter and throw on some Sturgill! This has always been my favorite Italian White Wine, an amazing blend of Chardonnay and Grachetto. Next lowest price on Wine-Searcher is $44.95I never get enough of this beautiful wine. 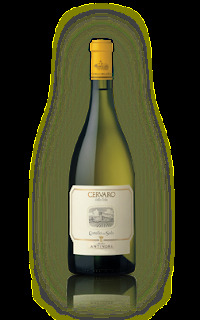 The 2013 Cervaro della Sala is mostly Chardonnay (80%) blended with an Umbrian native grape, Grechetto. The results are glorious, and this vintage represents slight tweaks to the winemaking style in favor of more finesse and elegance. Back in 2009, Cervaro della Sala was executed in a heavier style. The aging potential of this celebrated white wine has been proven and demonstrated with tasting after tasting. 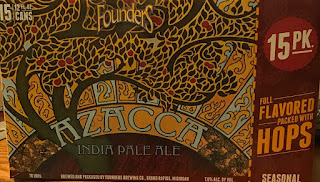 This vintage is balanced and fresh with brimstone, stone fruit and creamy peach. With time, it will show more mineral nuances and additional aging sophistication. Another stellar offering from Marchesi Antinori's California property, best of all we have the chepest price in the country! 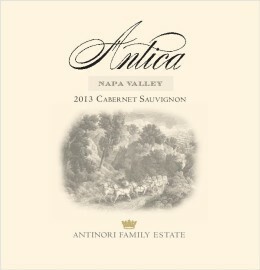 A beautifully elegant, stylish Cabernet Sauvignon from the Antinori outpost in Napa Valley, their 2013 has a dense ruby/purple color, a beautiful, sweet kiss of pure blackcurrant fruit, licorice and forest floor. Full-bodied, but with creamy texture, sweet, beautifully integrated acidity, tannin and alcohol, this is an impressively well-crafted wine that’s drinkable now, but should evolve nicely for another 15-20 years. Brewed with 15 lbs. of yams per barrel (in other words, a lot of yams! 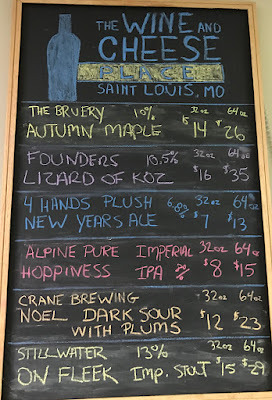 ), Cinnamon, nutmeg, allspice, vanilla, molasses, maple syrup, and fermentation with our traditional Belgian yeast strain, make this bold and spicy beer perfect for a cold autumn evening.